In a hurry? 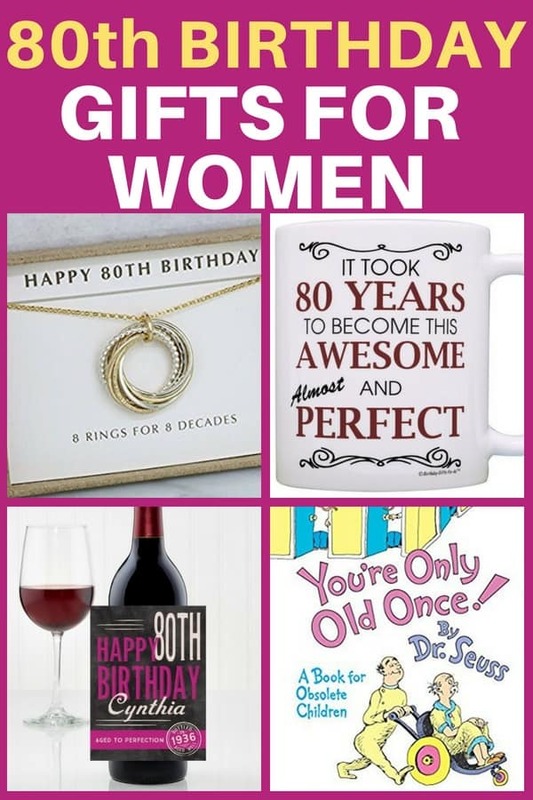 This list of the top 25 80th birthday gifts for women will help you choose the best gift quickly! 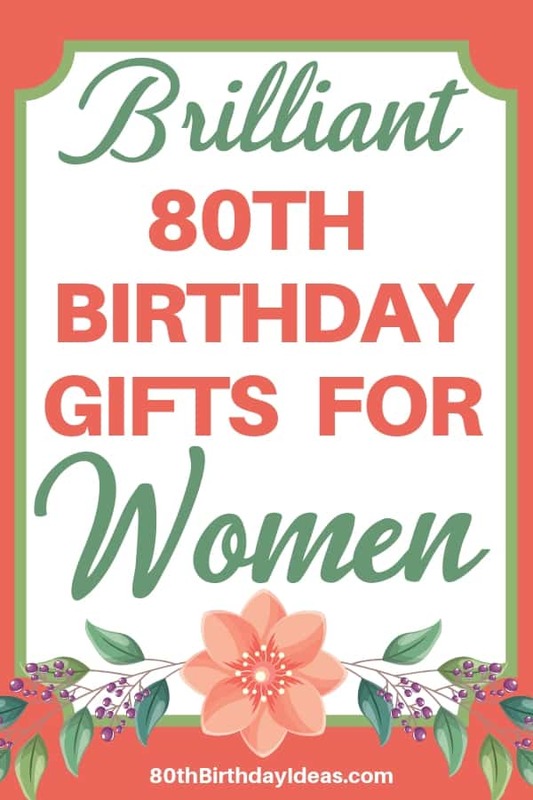 Prices start at under $25, so you'll find great gift ideas for an 80 year old woman to fit any budget. 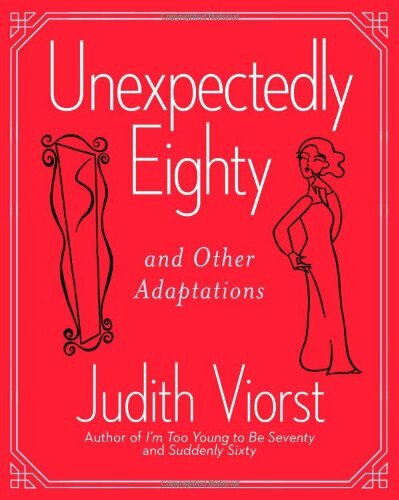 This best-selling 80th birthday book is a perfect way to celebrate a milestone birthday! 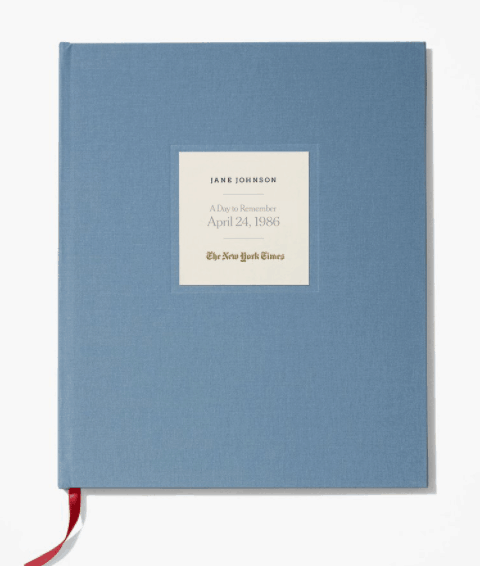 It includes every New York Times birthday front page from all 80 years. The front of the unique book is personalized with her name and birthdate, and is available in 7 colors and 2 cover styles. Filled with an impressive 140 pages, the souvenir book features a photo-packed 20 page timeline as well as additional pages of world headlines. 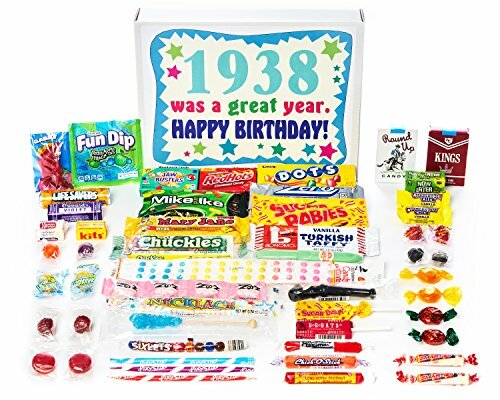 The recipient will enjoy reviewing all the important events in her lifetime – and the gift is sure to spark conversation as people try to remember historical events that happened over the past 80 years. A present that she will enjoy long after her birthday has come and gone! 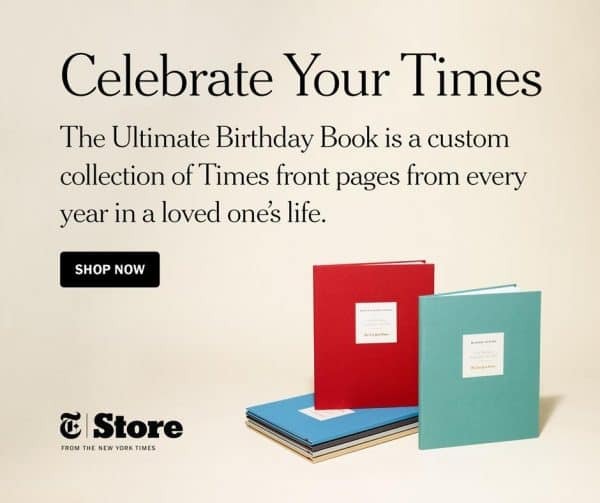 Enjoy Free Shipping on up to 2 Custom Birthday Books or Ultimate Birthday Books at The New York Times Store! Valid thru 12/31/2019. Warm her heart - and her body - at once with this gorgeous, super-snuggly blanket. You can add up to 21 names or words to be printed in a heart shape. 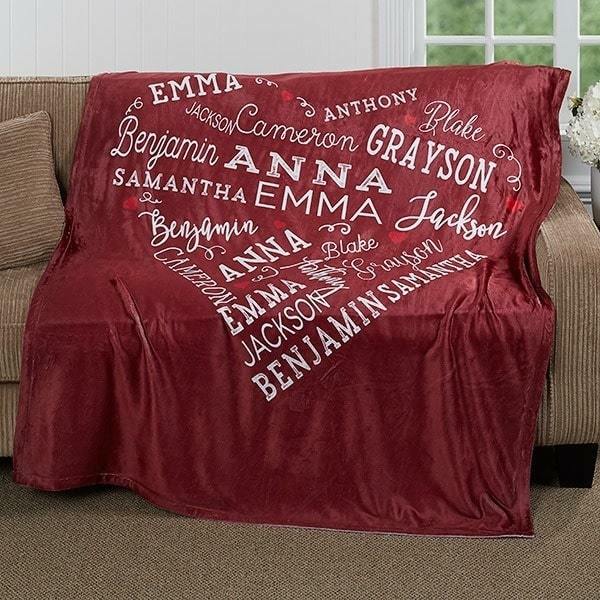 Although it's shown above with loved one's names, many people add other words to the blanket that have special meaning to both the giver and the recipient. It's a wonderfully useful way to honor a long-term friendship, a family, or both! 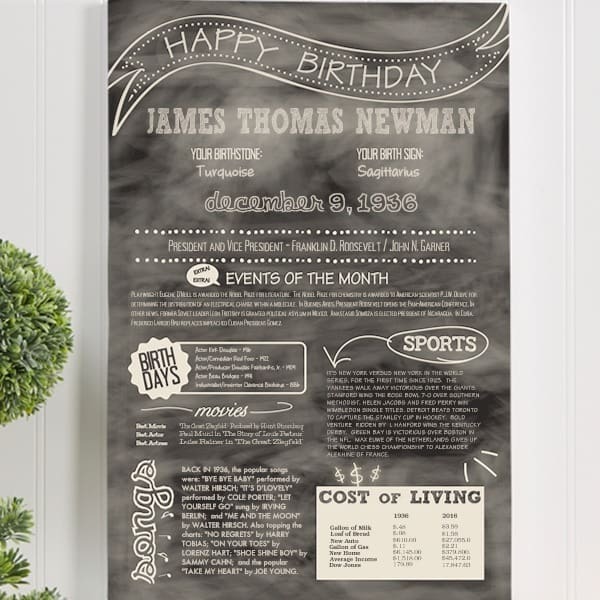 An 80th birthday is a fabulous time for looking back at how much has changed over the years – and this affordable personalized gift (around $40) is the perfect choice! 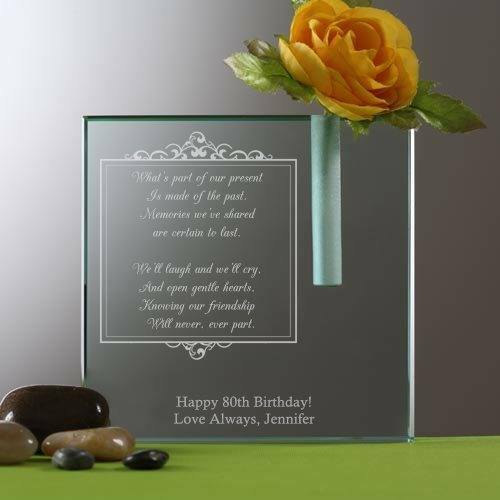 Striking keepsake plaque is personalized at the top with the birthday woman’s name and birth date. The keepsake then details interesting trivia about what life was like on the day she was born – including popular songs and movie events, headline news, and even top sporting events. It also includes celebrities who share her birthday and a sure-to-spark-conversation cost of living comparison section. If you’re looking for a last minute gift, this can arrive in just 2 days with express shipping. 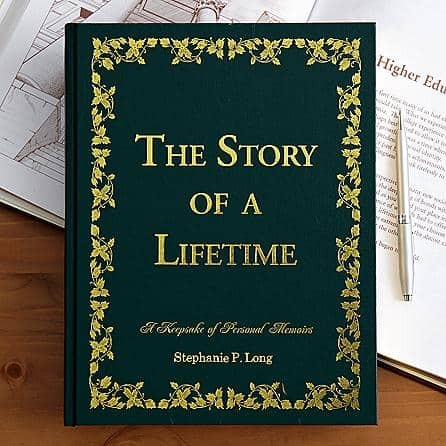 At 80 years old, your loved one certainly has a story to tell, and you can give her the gift of preserving her life’s account with this unique book! A priceless gift for her and a family heirloom for future generations, it provides roughly 500 thought-provoking questions for her to answerand document her life. For added personalization, it comes engraved with her name and a 1-line message. A truly one-of-a-kind gift, it’s sure to draw happy tears as she walks down memory lane. 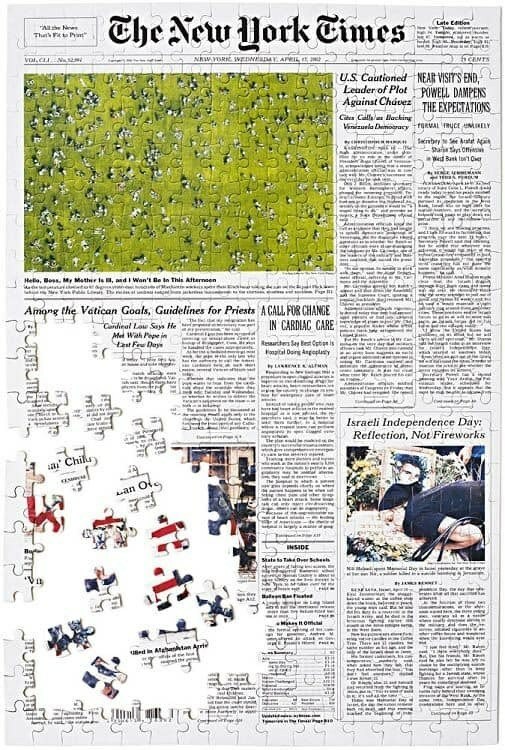 Help her bring history to life with this one-of-a-kind puzzle that lets her piece together The New York Times headlines from the day she was born. 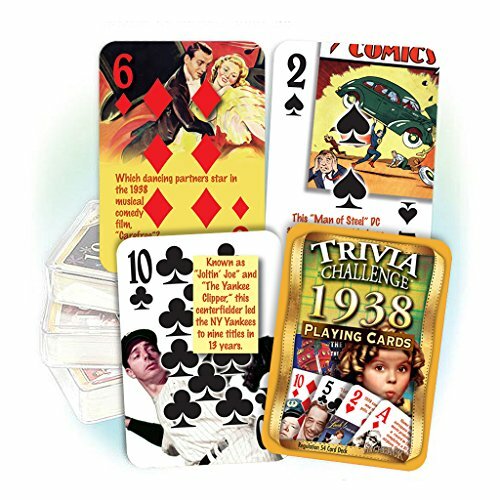 An ideal gift for such a momentous occasion, it provides her with a fun activity and a timeless keepsake at the same time. Whether she puts it together herself or with the aid of loved ones, she’s sure to enjoy watching the assembly of history with every connecting piece. Gift baskets are delightful presents to receive at any age! GiftTree is my top choice for sure-to-please, top-quality 80th birthday gift baskets. 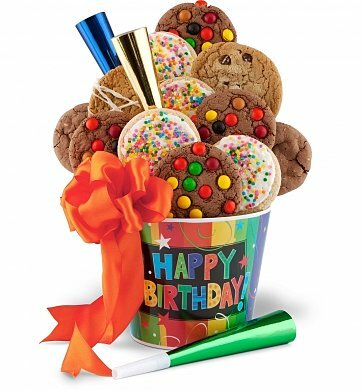 They have an amazing selection of gift baskets in all price ranges, ranging from around $25 for a birthday cookie gift basket pictured here, to extravagant 80th birthday champagne gifts (think Krug and Dom Perignon) costing over $700. 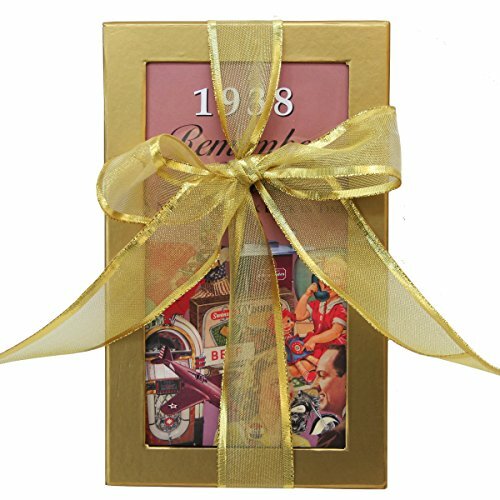 Each of their gift baskets is artfully arranged and presented, and you can choose to add a personalized ribbon with your own Happy 80th Birthday message to many of the gift baskets. No matter what your budget is, you’ll find the perfect gift basket or tower at GiftTree. Does your favorite senior have a sense of humor about aging? Every birthday girl should have flowers, and this sweet personalized vase is the perfect choice for this milestone day! 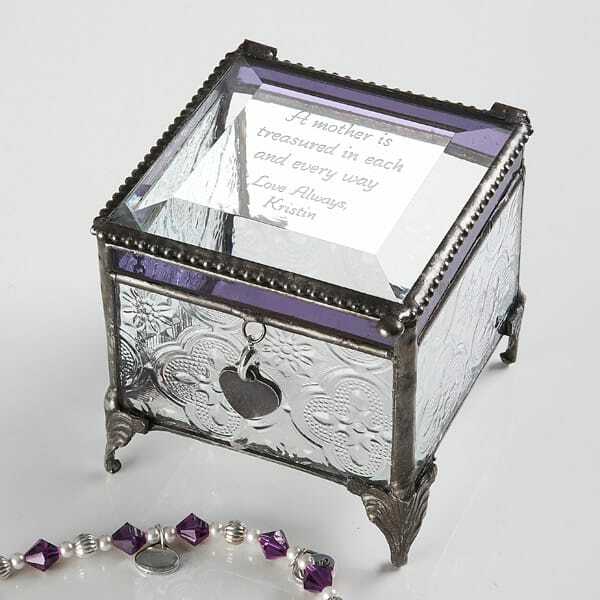 You can choose from 5 sentimental verses or create your own for an extra special touch. For a gift that smells as sweet as it reads, fill the vase with her favorite flower to polish it off. 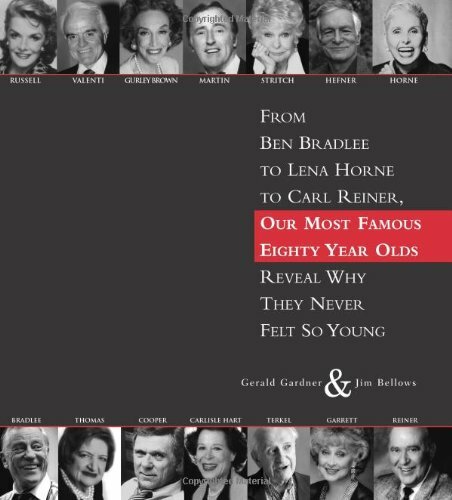 An 80th birthday is quite the milestone, and this newsworthy birthday book is the perfect gift for such a memorable occasion. Celebrating this milestone event, it includes a reprint of The New York Times edition from the day she was born. 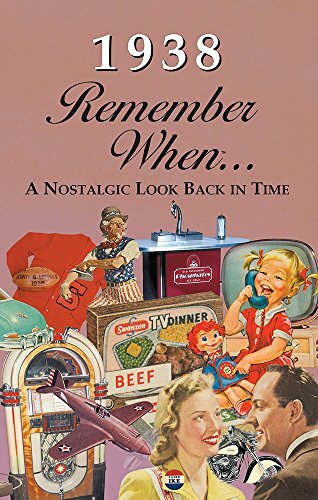 Sure to be a conversation starter, she’ll enjoy strolling down memory’s lane as she retraces the world events from her special day. Available in 2 cover styles and 7 colors, it is personalized with her name and date for an elegant, one-of-a-kind gift. The fashionable woman will love getting jewelry for her big birthday, but she probably doesn't want a necklace that screams "I'm 80!" Go for a more understated and stylish look, such as this "8 Rings for 8 Decades" necklace pictured above. Reminding her of life’s greatest riches, it holds a warm tea light to fill her home with light and love. 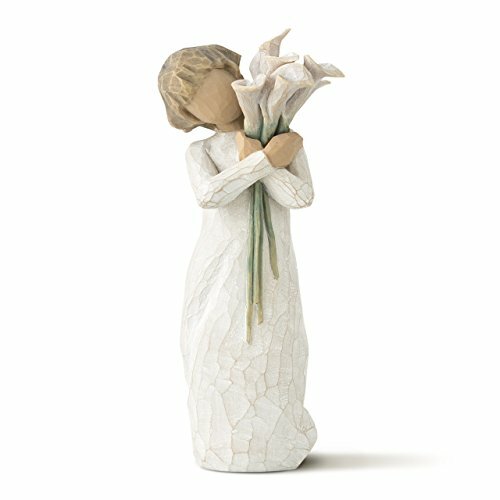 Finished in a natural hue, this unique 80th birthday gift idea for her is sure to complement any home, and it arrives beautifully packaged with floral accents for a complete look. 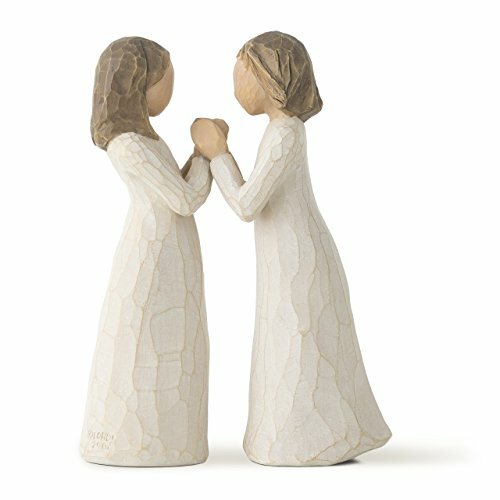 Are you shopping for a friend who you feel has been an angel in your life? 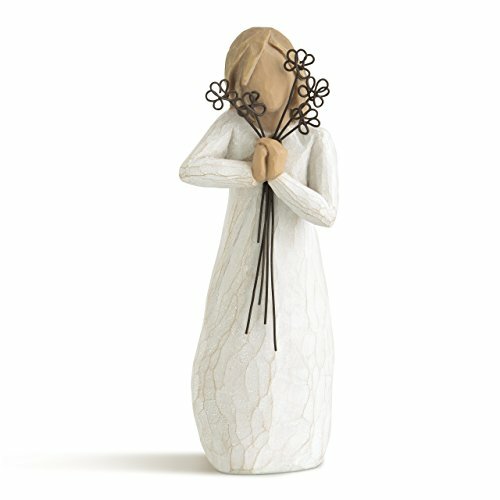 Let her know how you feel with this beautiful floral angel. Add your own heart-felt message of love and thanks to create a one-of-a-kind present that she will treasure. 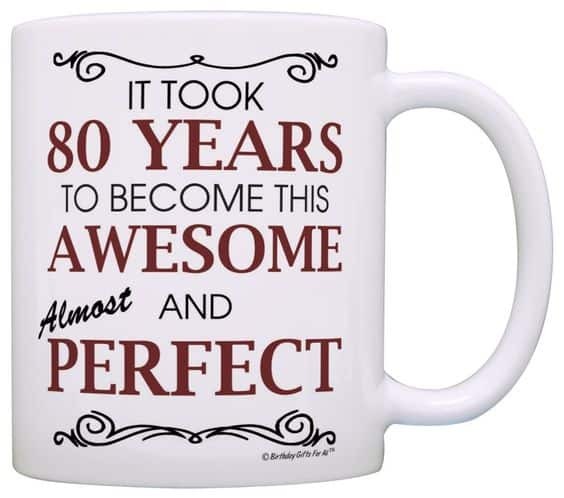 Anyone turning 80 can probably use a little jolt of caffeine to get going in the morning! 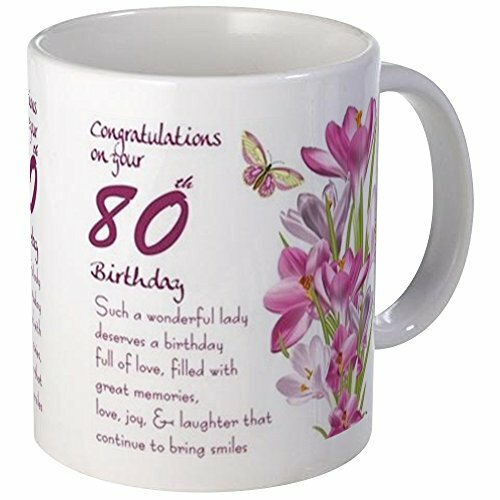 Make your favorite 80 year old lady smile each morning when she looks at this fun 80th birthday coffee mug. You’re bound to take loads of pictures to commemorate her milestone birthday – and a personalized picture frame or photo album is a wonderful way for her to showcase those memories. 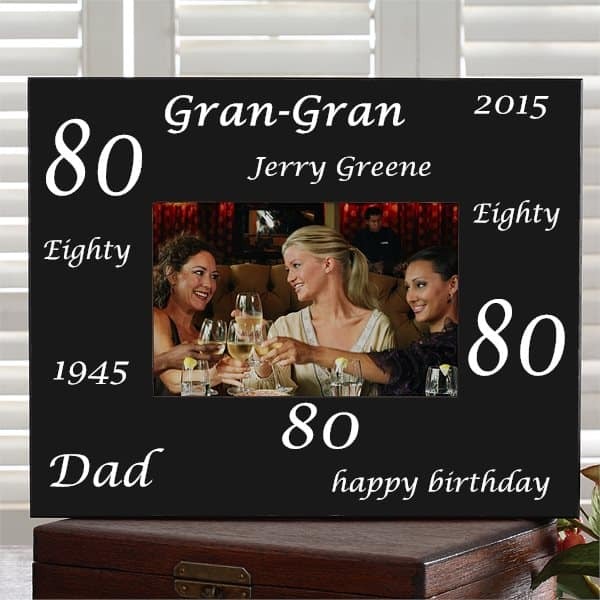 Personalization Mall has a wonderful pictures frame that can be customized with her birth date, age, name and nicknames. It’s available in 6 different colors, so it’s easy to find a color scheme that she loves. They also offer a wooden birthday photo album that can be engraved with her age and name. It holds up to 70 photos, so there’s plenty of room to store all the pictures from her celebration. 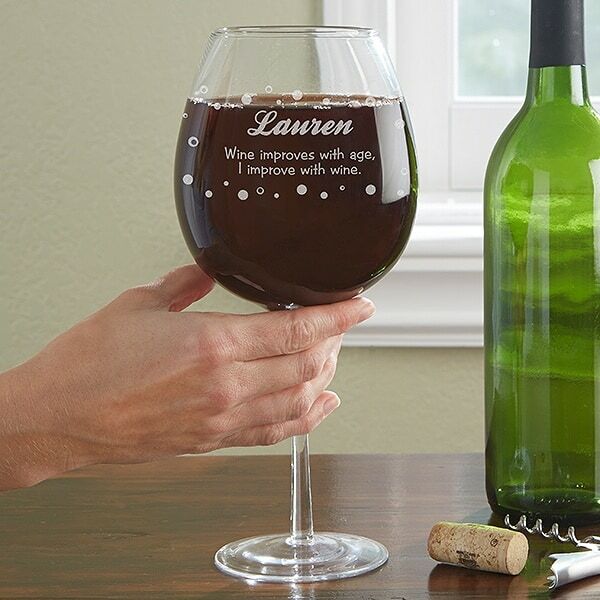 You know your favorite 80 year old is aged to perfection, so toast her this birthday with a personalized wine blass that’s large enough to hold an entire bottle of her favorite wine. 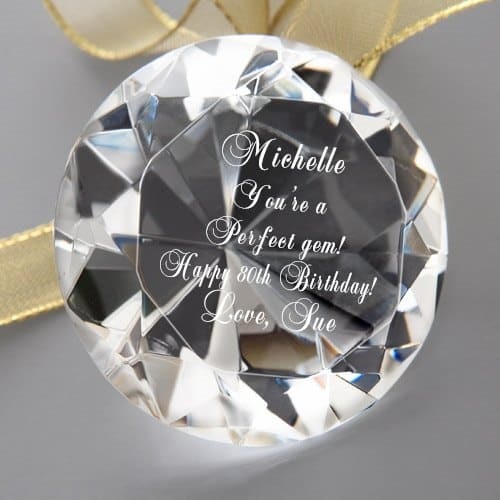 Featuring a fun bubble design, you can customize it with her name and a sassy saying. 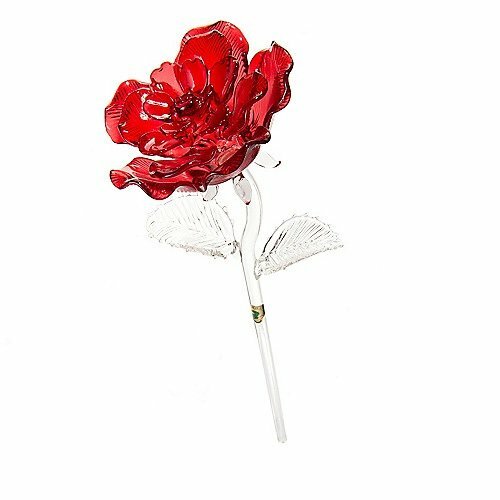 Whether she’s attending a party, hosting her own or enjoying an evening in, this oversized glass is the perfect way to celebrate her big day. Make sure that your favorite senior lady has an exceptionally sweet birthday when you present her with a scrumptious box of personalized chocolates! Choose from over 25 designs from sweetly sentimental to fun. Each box is chock-full of 45 pieces of gourmet Belgian chocolate imprinted with birthday designs. She’ll enjoy using the keepsake box long after she’s enjoyed the delicious candy. 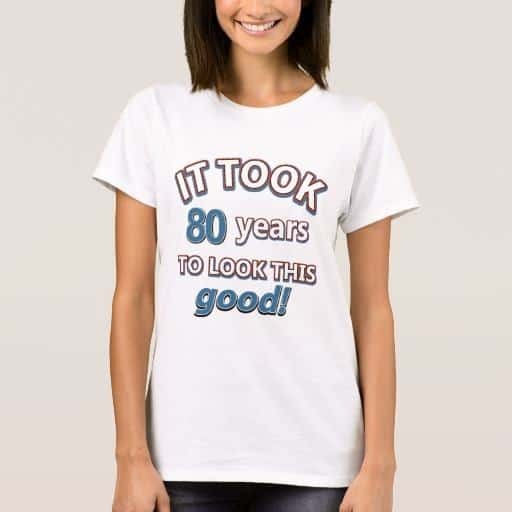 If you’re looking for an inexpensive and fun present, go with an 80th birthday shirt. 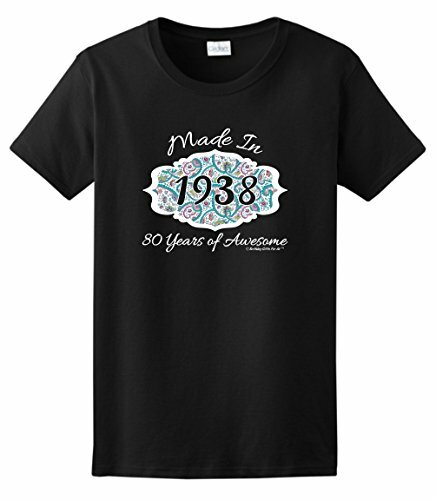 My top pick for fun birthday shirts﻿﻿ ﻿﻿is ﻿﻿Zazzl﻿﻿e , which offers over a thousand 80th birthday shirts for women. 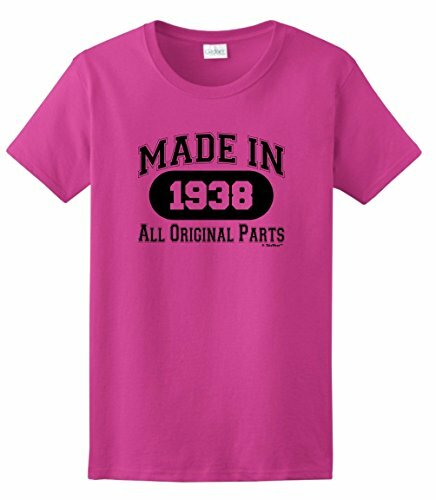 Each of their shirts is available in several different styles and colors. Perfect for the birthday star who appreciates a little vintage flair, this ornate jewelry box is a truly elegant gift with its beveled glass, detailed filigree and braided trim. Providing her with a glamorous place to store a few of her favorite things, it celebrates her as the true treasure in life. To add your personal touch, you can custom engrave the lid with any 3-line message and 2-line closing sentiment. Polished off with a delicate heart charm, this vintage piece is almost as timeless as she is. 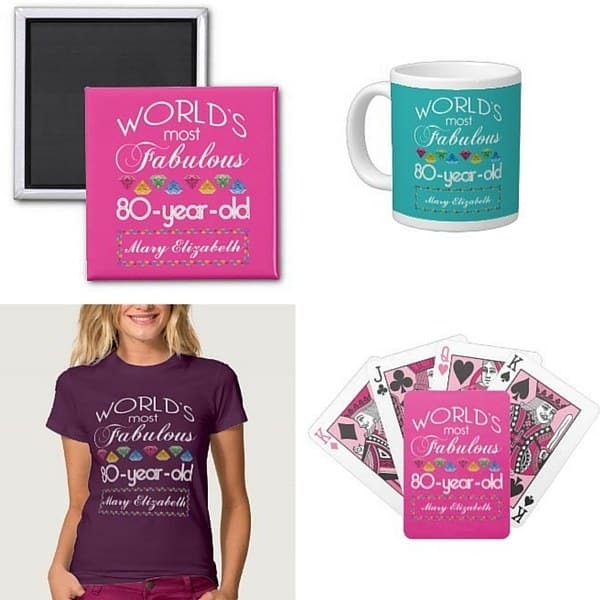 An 80th birthday is a fabulous time to let her know how marvelous she is, and these colorful personalized "World's Most Fabulous 80 Year Old" gifts are a delightful way to tell her. 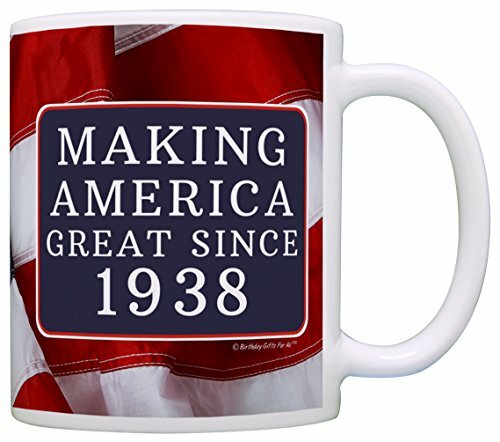 Choose from over 200 gifts, including cards, magnets, mugs, clothing, iPad covers, water bottles, keychains, speakers and more. Each gift is available in your choice of pink, purple or turquoise, and is personalized with her name. Prices start at under $5. 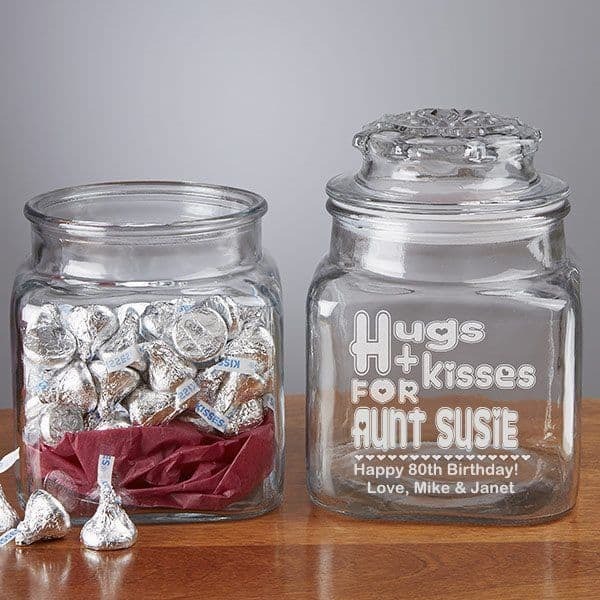 An 80th birthday calls for a candy-coated celebration, and this customized candy jar is the perfect place to store some sweet treats. 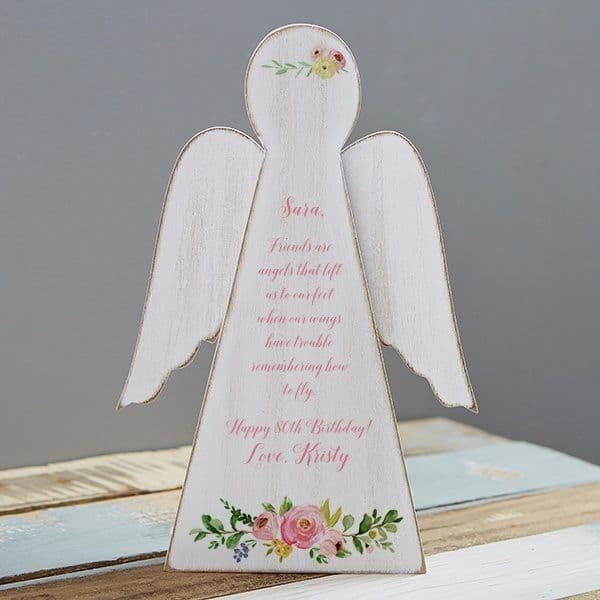 Not to be outdone by its contents, this personalized piece is even sweet on the outside with a precious design that includes her name and any 2-line message from you. Holding a generous 36 ounces, she can fill it to the brim with her favorite treat to tickle her taste buds long after her birthday is over. 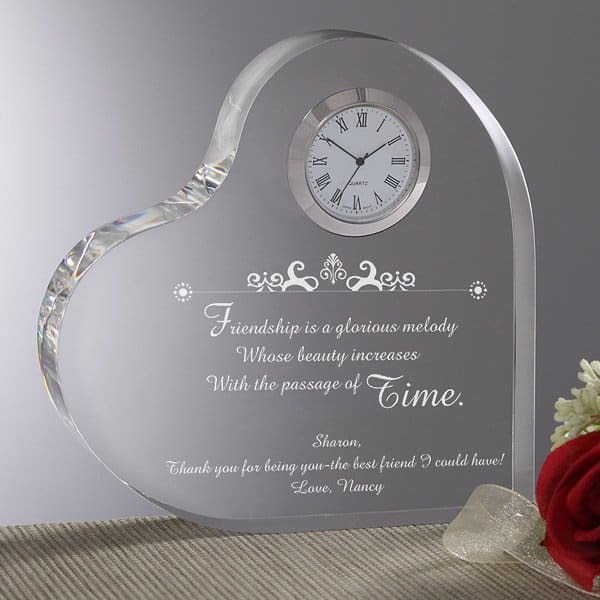 An 80th birthday is an excellent occasion to let someone know how much you’ve cherished their friendship over the years, and this heart-shaped clock helps you do that in a stunning way. Crafted of brilliant, clear Lucite, it holds a silver-encased timepiece that reminds her of your friendship every hour of the day. 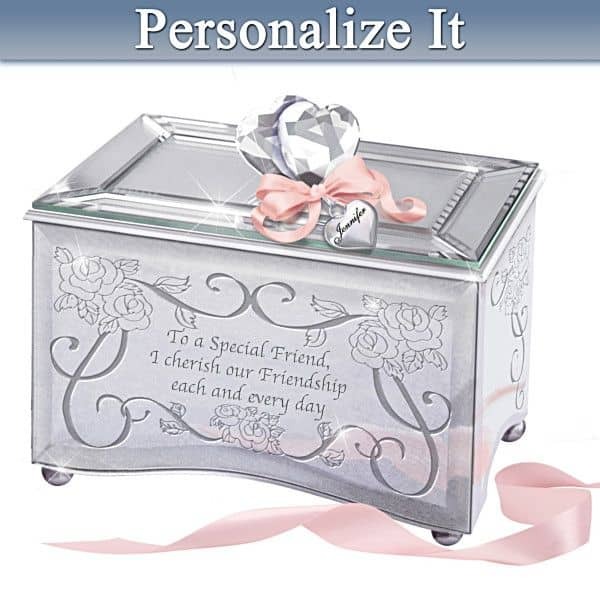 For a gift that’s made just for her, you can customize it with a laser-engraved message as well as a closing sentiment. 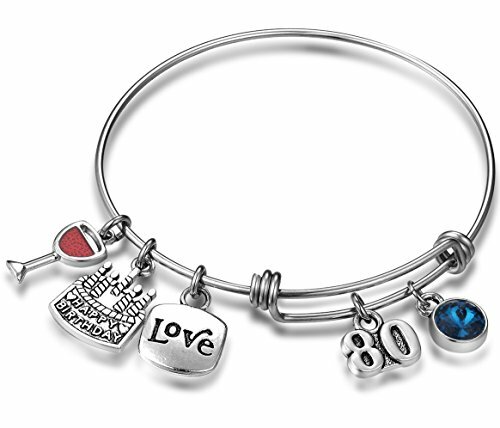 For the lady in your life who improves with age, why not give her a gift that does the same? 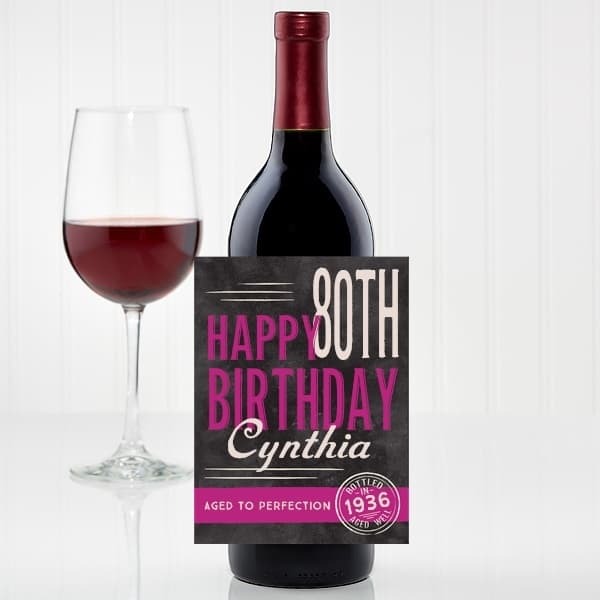 Featuring a warm birthday greeting, this unique wine bottle label can be customized with her name as well as any 2-line messagefor a truly thoughtful keepsake. Waterproof label is self-adhesive - just peel and stick to her favorite bottle of wine! 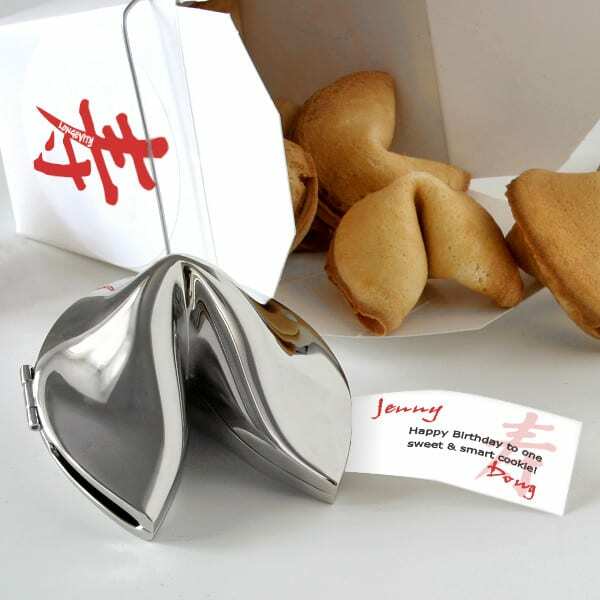 Featuring a polished silver finish, this personalized fortune cookie is sure to send the right message with its customized fortune that includes her name and yours as well as a special message. To complete the look, it is packaged in a genuine Chinese take-out box that features the symbol for longevity, which celebrates her long life and looks forward to the years to come. 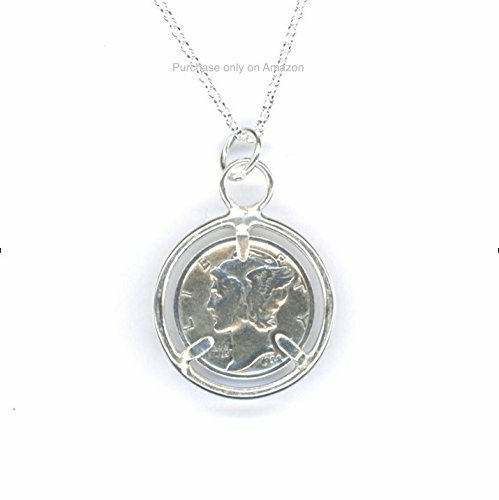 A unique 80th birthday gift for a female, it is sure to become a treasured keepsake. 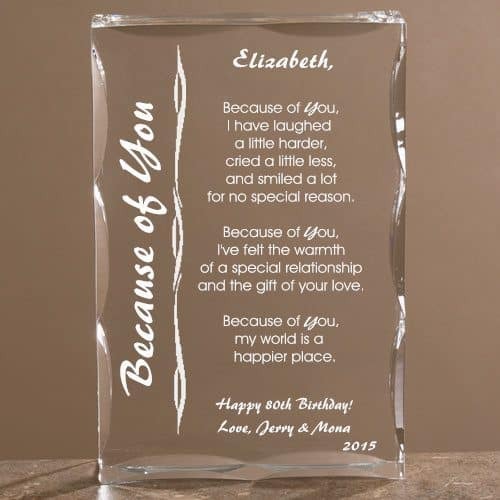 A perfect birthday gift for an 80 year old woman, this stunning Lucite keepsake helps you tell her just how much she means to you in a way that she’ll never forget. Featuring a touching verse (write your own or choose from pre-written poems), you can customize it with her name at the top and a heartfelt note and the year at the bottom. Scalloped edges and a special engraving process add to its elegance, creating an impressive tribute that she’ll cherish for years to come. On her 80th birthday, highlight your loved one as the one-of-a-kind treasure that she is with this personalized crystal keepsake. 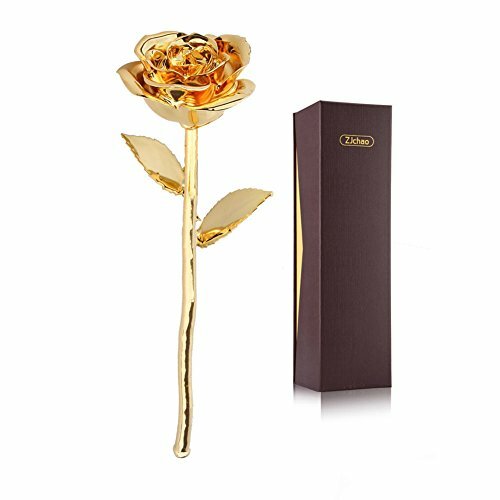 Breathtakingly brilliant, it features sculpted facets, which reflect light at every angle for a gift that will truly brighten her day. 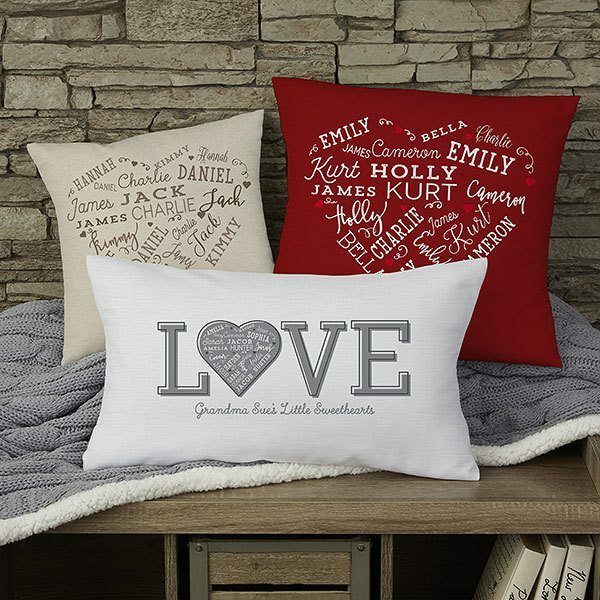 Personalized with any title, 3-line message and closing sentiment, it will be a treasured piece of home decor that is just as meaningful as it is beautiful. 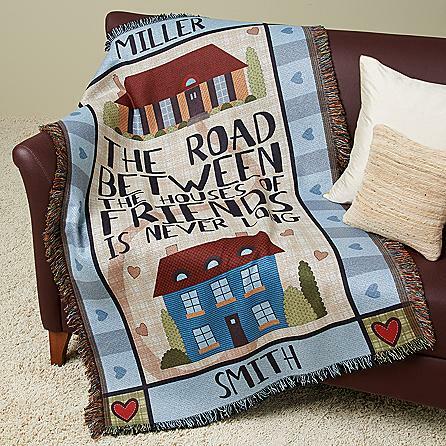 With her name on top and yours at the bottom, this generously sized afghan features a charming design that beautifully portrays your close-knit friendship. Constructed of a polyester-cotton blend, it is both warm and cozy, providing her with the comfort of your love. For the friend who is the harmony to your melody, this classic music box is an excellent gift to celebrate her milestone birthday. For a complete gift, it includes a heartwarming poem and plays “You’ve Got a Friend” as a sweet, symphonic reminder of your treasured friendship. 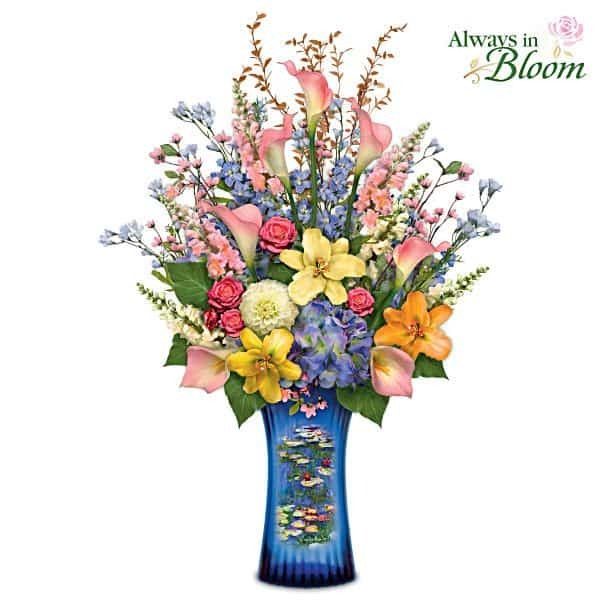 While most flowers fade with time, this handcrafted floral arrangment will last forever, providing you with a stunning way to celebrate your loved one’s special day. Crafted of silk for a look that rivals nature, its flowers boast a colorful array of water lilies, cherry blossoms and more. Displaying a rendition of a Monet masterpiece, the vase is composed of genuine crystal and holds a collection of lights, allowing your favorite senior to enjoy this artistic treasure any time of the day. An illuminated and graceful centerpiece, it is sure to brighten her home and warm her heart. Make her birthday extra-special by giving her a gift that’s custom-made just for her! Personalization Mall is my favorite site for personalized gifts for any occasion. 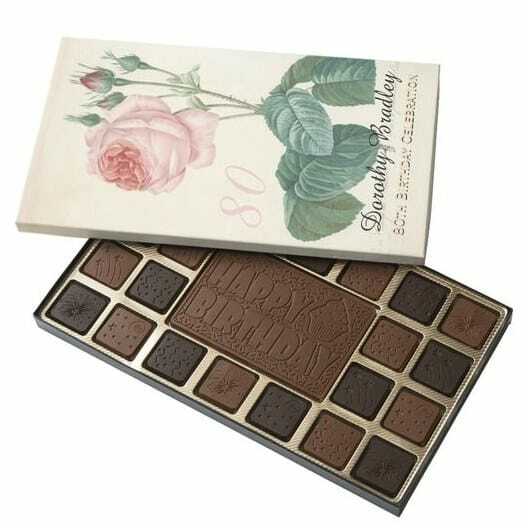 They have an amazing assortment of top-notch personalized gifts in all price ranges. You can add your own message and name to most of their gifts – and you’ll be able to preview your gift before you order it, so you’ll know exactly how it’s going to look. For an 80th birthday, one of the most popular gifts is the adorable pillow pictured above. It features up to 21 loved one’s names repeated throughout the heart shape – a wonderful way to wrap yourself in a blanket of love! A milestone birthday is always a time for looking back and reflecting upon the past. Highlight the day she was born with a gift that features the front page from The New York Times from the day she was born! 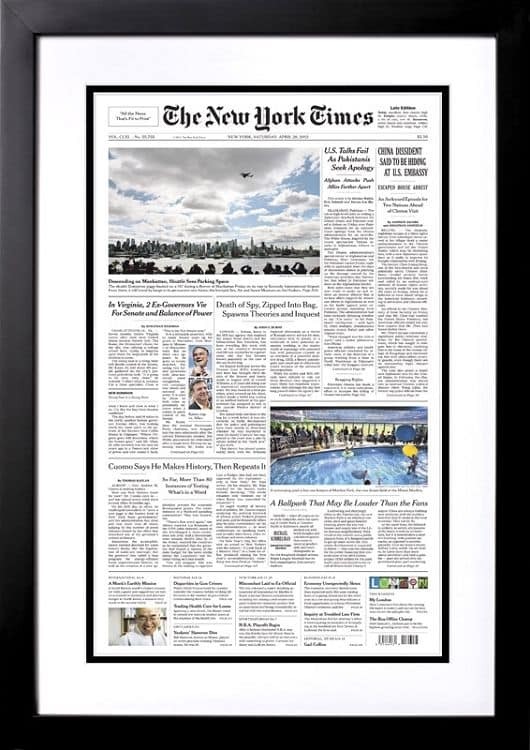 The New York Times Store offers a wonderful assortment of front page newspaper gifts, with prices starting at under $35. Some of the more popular gifts include a full-size reprint to be hung on the wall (pictured here), a jigsaw puzzle, and a t-shirt – all featuring her special birthday front page. Does she have a sense or humor about growing older? Then an 80th birthday gag gift is a choice that’s sure to leave her – and all the guests- laughing. 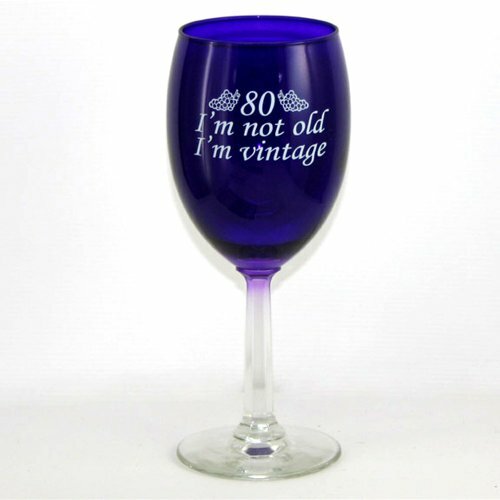 They offer a wonderful assortment of gifts featuring funny sayings about growing older. 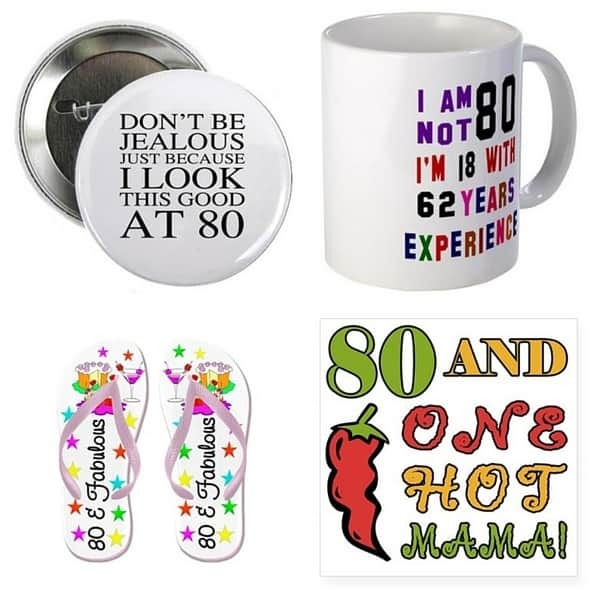 Choose from shirts, hats, pins, stickers, balloons, cups, tote bags, and more – you can even get funny 80th birthday flip flops. Prices start at under $5, so you don’t have to spend a fortune to make her laugh. Click on any saying that you like. Once you’re on the product page, scroll down to where it says “ABOUT THE DESIGN” on the right hand of the screen. 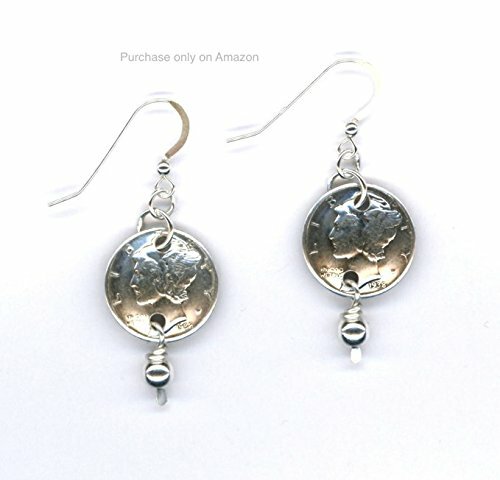 Click on the message “See this design on other products” and you can find which products the design is offered on. (And no, I don’t know why it’s so difficult). Most women take enormous pride and joy in their family, so a family tree gift is a wonderful present that allows them to be surrounded by their loved ones, even if they are far away in miles. 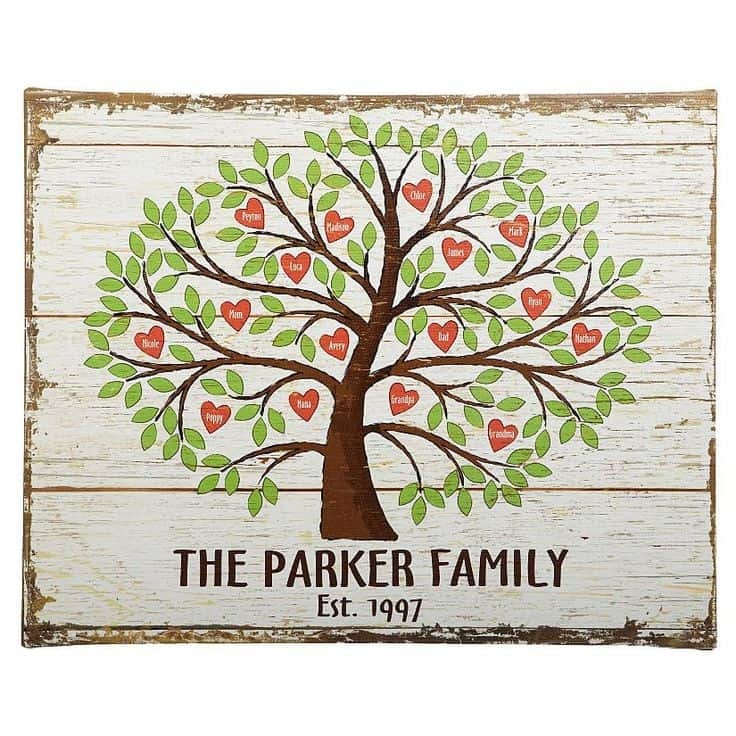 Personal Creations has a unique selection of family tree gifts, including the family tree wall canvas pictured here that allows you to add up to 24 names. They also offer a family tree print kit that allows you to add new family members to the print as needed – perfect for the still-growing family! 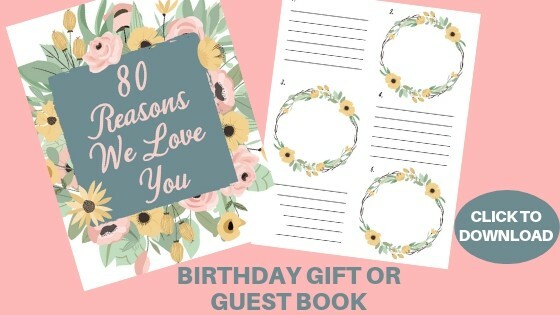 Warm her heart by letting her know how special she is with this beautiful DIY 80th birthday gift! Just click on the image above to download the free PDF. Then just fill in the blanks with 80 reasons that she is loved! It's a sentimental gift that she will treasure...or you could use it as a guest book for her party. Click on the image above to download - the PDF will open in a new tab, all ready for you to print. It's best to print it on on heavy card stock rather than regular printer paper. 80th Birthday Ideas is a participant in the Amazon Services LLC Associates Program, an affiliate advertising program designed to provide a means for sites to earn advertising fees by advertising and linking to Amazon.com. Copyright text 2018 by 80th Birthday Ideas.